About three minutes into Lucky, I sighed as I realized I was about to watch a film I’ve seen hundreds of times before and will undoubtedly suffer through hundreds of times again. 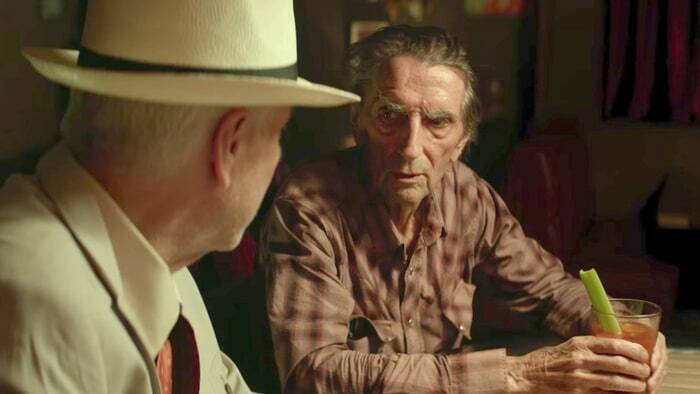 It stars Harry Dean Stanton, in his final film role, as Lucky, a 90-year-old creature of habit who realizes his own mortality through the quirky characters he meets in a sleepy desert town. Lucky’s days consist of morning yoga exercises, breakfast at the town diner, drinks at the local bar and crossword puzzles at home with a mysterious old pal on the other end of a phone call. In case you’re wondering, Lucky’s phone is bright red. From the costumes to the cinematography, the rest of the film has that dull, almost-sepia appearance we’re so used to seeing in films about desert towns, so the bright red phone really stands out. It’s the ultimate visual cliché that’s emblematic of first-time director John Carroll Lynch being a first-time director. Every nook and cranny of the film isn’t just overcooked—the pitfall first-time filmmakers fall into when they’re convinced each little moment must be “deep”—but it all feels stitched together from better films. A phone can’t just be a phone. It has to be this big goofy red thing that sticks out from its environment for no better reason than other movies told Lynch that’s how you communicate to the audience that a prop is important. The characters Lucky meets throughout the film are about as inspired as the red phone. There’s the owner of the diner, who spots Lucky trying to light a cigarette and exclaims, “Those things will kill you” because anyone who spots someone else smoking in a film is obligated to say that. Then there’s the boisterous bar owner who gives Lucky a hard time, and he returns the favor, but we know that deep down they’re really pals. At the bar, Lucky shares a drink with David Lynch, who I’m convinced isn’t playing a character but just wandered onto the set and the crew let him stay because he’s David Lynch. He’s a quirky dresser who goes on and on about his pet turtle, with a quirky name, that ran away. The turtle ran away. Get it? It’s sad the film clearly gets a kick out of these lame characters. Although nothing is quite as sad as Lucky being Stanton’s final starring role. The legendary character actor lives up to his legend in the film, carrying the whole thing on his back and salvaging what’s an otherwise unremarkable drama. His performance deserves a better character. In the moments between the poor writing, when Stanton is left to his own devices, he unleashes these mesmerizing mannerisms that I could spend all day watching. The scenes that stick out aren’t Lucky’s long philosophical monologues, but little moments like Lucky struggling to light a cigarette. It sounds strange but Lucky lighting a cigarette, clicking the lighter over and over, is genuinely compelling cinema stuck in the middle of a film that’s usually as dull as it sounds.